Here in the US, I normally make Garlic Shrimp with shrimp. 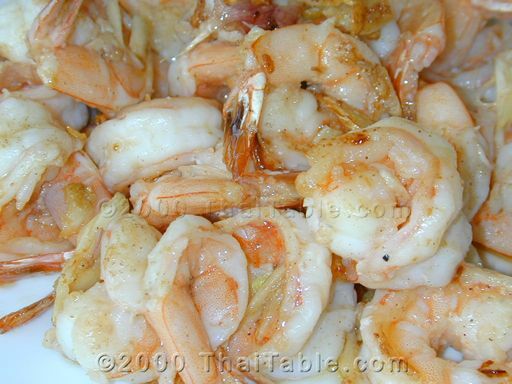 If you get this dish at a restaurant in Thailand, you will be served with large fresh water prawns that are nearly the size of a small lobster. 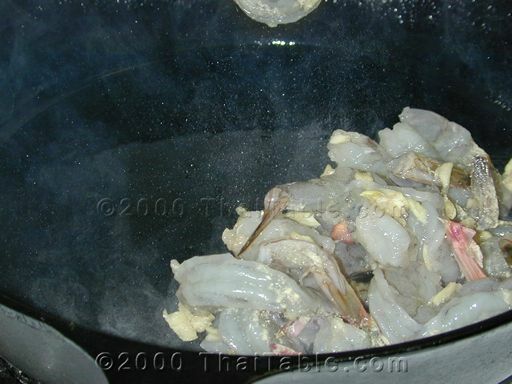 You can get frozen freshwater prawns from Thailand. They are expensive but soooo delicious. This is a fairly simple dish to make. I recommend using white pepper. If you can crush the pepper fresh, it is even better. Peel and devein shrimp. Press or mince garlic into small pieces. Add garlic, salt and pepper to shrimp. Marinate and let sit for 10 minutes. I use olive oil but if other types of oil suit you better, it probably won't change the taste that much. Heat up the oil over medium heat. Pour the shrimp in and stir for 3 minutes. 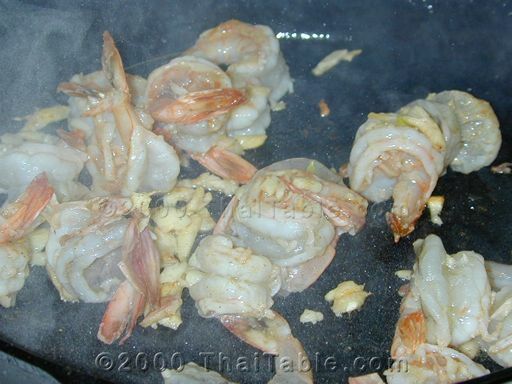 The shrimp should be just cooked, not over cooked. As soon as the shrimp turns from clear to white, it is ready. Serve hot.